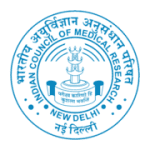 DMRC - Desert Medicine Research Centre 2018 Jobs Recruitment. DMRC is inviting applications for the vacancies of Field Assistant, Data Entry Operator, Multi Tasking Staff, Field Worker and Scientist. Interested and Eligible candidates can apply for the positions. Last Date for Submission of Application is on April 18th, 2018.
i. The Appointment will be on contract basis and no other regular service benefits will be admissible. The candidate will not have any right to claim for any regular employment at DMRC/ICMR etc. No TA/DA will be paid for attending the Walk-in-Written Test/Interview. ii. Those appearing for walk-in written test should bring with them (1) All Certificate/Testimonial in Original, (2) One attested copy each of the Certificates/Testimonial and should report at a.m. at DMRC, Jodhpur.